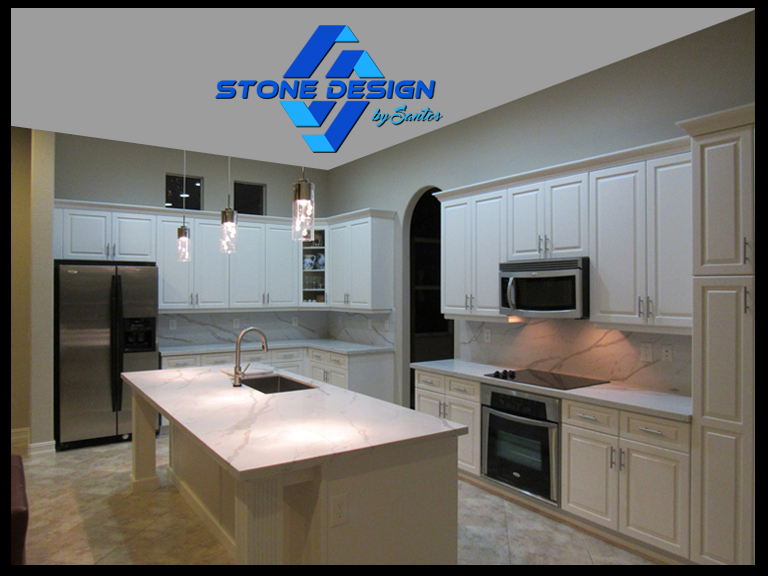 Stone Design by Santos, located in Florida, is operationally approaching from a decade and continues offering outstanding Fort Lauderdale countertop manufacture, supply, dealer, and installation services for residential as well as for commercial. From kitchen to bathroom, countertops to walls, floors, backslashes, and stairs, we fabricate and install tailor design to comply with your interior design requirements. We can modernize any area of your home with trending design with a unique touch. We deliver the finest and promising results. Our experts remain advance with the latest trends and technologies to exceed our customers’ satisfaction maintaining the utmost level of quality standards. Beautiful Countertops For Your Luxury Life! We make your home a perfect place for your life. Luxurious and custom countertops improve the quality of life and enhance the value of the home. One simple way is to increase your home space by designing your Fort Lauderdale countertops practically and appealing. They should be high quality, durable, easy to maintain, and stylish. We offer a wide range of quality stone slabs like granite, quarts, marble, quartzite, onyx, semi-precious stone that makes your home modish. If you are planning to remodel your home, then we can help you with the finest material, design, color, finishing, fabrication and installation of your countertops at affordable cost matching with your existing decor. Our qualified Fort Lauderdale countertop team is very professional, decent, and proficient. Experience our team with their fast installation services in just a few hours. We will ensure your countertop get a finished touch and leave you pleasing and satisfied. You can hire us for high quality and professional installation and services to get the desired outcomes. We offer a wide range of materials, colors, designs, finishes, and edging options ensure your countertops mingles impeccably into your overall kitchen, bathroom, and other areas of your home. We offer end-to-end services including removal and disposal of existing countertops, disconnecting plumbing and installation of the new surface. Feel our expertise and dedication that makes your home amazing meeting your needs. Planning to renovate your home with gorgeous and sensible Fort Lauderdale countertop? Call us by phone, drop an email, or walk to our office at Pompano Beach for free estimate and arranging appointments.